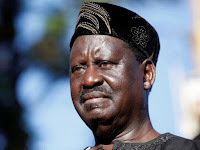 Monday November 5,2018-Former Prime Minister Raila Odinga ‘s allies have accused Deputy President William Ruto of using the handshake between Raila Odinga and President Uhuru Kenyatta to popularise his presidential ambitions in 2022. On Monday, Ruto began a series of rallies in Migori and Homa Bay counties which are Raila Odinga‘s strongholds. Speaking on Sunday over the tour, Raila Odinga sycophants led by Suba South MP , John Mbadi and his Suna East Counterpart ,Junet Mohamed said Ruto was exploiting the tranquility created by the handshake pact to further his political agenda — a run for State House in 2022. The MPs urged the DP to stop subjecting the country to a perpetual campaign mode through his ‘tangatanga’ tours couched as visits to promote the Big Four. President Kenyatta has repeatedly called for an end to politicking and a focus on development. "The handshake between Raila and Uhuru was meant to quell tension after the divisive general election. Those exploiting this calm to push their agenda are against the direction of peace," Mbadi said. Junet on his part said it is wrong for the DP to start campaigning for presidency, yet his boss has warned Kenyans against early campaigns.